When you leave your home, you expect to return home safely later in the day. Unfortunately, that doesn’t always happen. People are injured in car accidents every day, and some of those accidents are due to the negligence of another driver. If you or your loved one has suffered injuries as a result of another driver’s negligence, you may be eligible for compensation for your injuries and damages. Medical Expenses – This includes the cost of all necessary and reasonable medical expenses incurred as a result of the accident. This also includes medical treatments that you may incur in the future as a result of your injuries. Loss of Earnings and Future Loss of Earnings – You are also entitled to recover any loss of earnings you suffered due to your injuries. This includes wages, bonuses, commissions, and other fringe benefits. 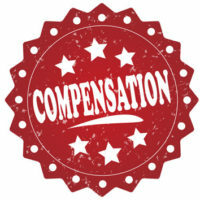 If your injuries will permanently limit your earning ability, you can receive compensation for the loss of earning power over your remaining working years. Damage to Your Vehicle and Personal Property – You are entitled to compensation for damages sustained to your vehicle and personal property. You may also be able to recover the cost of temporary transportation while your vehicle is being repaired. Disfigurement – If your injury results in permanent scarring or disfigurement, you are entitled to compensation for the embarrassment and humiliation associated with the scarring or disfigurement. Pain and Suffering – This is the compensation that you may receive for the physical pain and mental anguish that you suffered as a result of the accident. These damages are in addition to your medical expenses, property and vehicle damages, and lost wages. Damage to the Marital Relationship – When one spouse suffers a serious injury, there may be damage to the marital relationship as a result. If this happens, you are entitled to compensation for the loss of affection, conjugal fellowship, and assistance that may occur. The Maryland statute of limitations for car accident personal injury cases is three years from the date of the accident in most cases. This means that if you plan to file a personal injury lawsuit as a result of your car accident, you will have three years from the date of the accident to do so. There are certain exceptions to this rule, but failure to meet the required statute of limitations could result in the loss of ability to ever file the claim, making it imperative to consult with a Maryland car accident lawyer as soon as possible. If they haven’t already called you, the insurance company will eventually contact you and attempt to get you to say things that could harm your claim. Hammad S. Matin has years of experience handling car accident lawsuits and will diligently work to protect your rights and get you the compensation that you are entitled to. Contact us today for a consultation at our convenient La Plata, Maryland location.